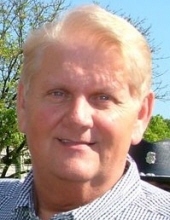 Daryl Gene Lyons, age 63 of Pikeville, Kentucky passed away Wednesday, June 6, 2018 at the Pikeville Medical Center. He was a Floral Designer and attended Mayflower Baptist Church. Pikeville Varsity Cheer was his pride and joy. He loved his cheer family as though they were his own. Nothing made him happier than to watch them perform and do what they did best. Along with his father, he was preceded in death by one brother, Ronald Dean Lyons. Along with his mother, he is survived by two sisters, Diana (Bruce) Willis and Vickie (Terry) Hall all of Lexington, Kentucky. To send flowers or a remembrance gift to the family of Daryl Gene Lyons, please visit our Tribute Store. "Email Address" would like to share the life celebration of Daryl Gene Lyons. Click on the "link" to go to share a favorite memory or leave a condolence message for the family.